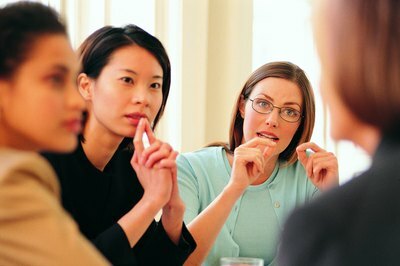 Teamwork is all about exchanging ideas and allowing each person to have a voice. Largely responsible for employee motivation and morale, workplace communication is, as Tony the Tiger might say, great. 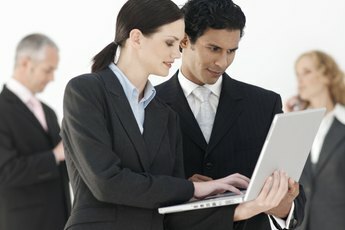 While men and women tend to hold communication as an important factor in what creates a strong and healthy workplace, women think of it as a more vital variable than men, says a 2004 study conducted by LLuminari, Inc. And luckily for you and everyone you work with, improving communication can be as easy as opening your mouth and listening when your co-workers open theirs. From the perspectives of both an employee and manager, communication serves as the basis for exceptional teamwork and professional relationships. Imagine going to work and keeping to yourself the entire day or trying to produce something as a team, but refusing to share ideas. The kind of communication that builds relationships and encourages teamwork goes beyond the light conversational topics, such as the dreaded, "Gee, it sure is cold out there today," and it certainly goes beyond one-sided conversations. Suppose you're a manager trying to motivate a team. Rather than propose ideas only, invite your team to toss ideas around, explain why something could work and how an idea could be improved upon. Make it known that everyone has a voice. Or consider yourself an employee who's trying to strike up a few friendly relationships in the workplace. Shooting the breeze can act as an icebreaker, but to foster real camaraderie, listen to your co-worker's problems, recognize when they're having trouble and offer assistance when needed. Criticism sometimes gets a bad rap in the workplace, often because the first image that comes to mind is a red-faced head honcho yelling at a subordinate to quit screwing around. But that's an example of poor communication. Solid communication leads to constructive criticism that can help an employee improve her performance. Of course, you don't have to be a manager to give constructive criticism. An employee can help her co-worker improve by offering feedback on what she does well, what she can improve and how to improve. Regardless of whether you wear the managerial hat or the employee hat, remember the following: Touch on weaknesses but do not harp on them, recognize strengths, appear understanding as to why someone might struggle in a certain area, and offer ways for her to improve on her weaknesses, according to the Summer 2007 Invest Employee Assistance Program Quarterly Newsletter. As an employee, you're probably going to fall short of expectations if you don't know what the expectations are. It's like being asked to prepare for a race but not being told its length. Good communication makes it very clear what the company's goals are, how those goals affect you personally and what you can do to achieve them. Management largely bears this responsibility. Suppose you work at a vending company and your job requires you to find locations for snack machines. With good, clear communication, you would know how many machines you need to locate, what that would mean for the company and yourself, and ways to achieve that goal while allowing for your input as well. Imagine every person you work with understands the company's workplace policies, realizes why the policies are in place and knows the consequences of failing to follow them. Now snap out of that fantasy world, because reality tends to be a bit different. Workplaces often suffer from certain employees who are habitually late to work, spend too much time browsing the Internet, talk too loudly to co-workers and generally don't follow the office code of conduct all that closely. Good communication from management enforces workplace policies, makes employees aware of why such policies are in place and underscores the penalty for failing to adhere to them. As a result, you're typically left with a workplace that has structure and doesn't resemble the Wild West. Is it Important to Be Open Minded in the Workplace? 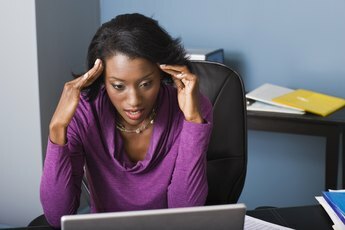 How Can Employees Express Unhappiness in a Job? How Can a Personal Alliance Be Damaged in the Workplace?